“This music is all about the love and positivity and in today’s world, we need to bring more of that. There’s nothing better about music at a party like this.” – GrandTheft. On the day of the Live Free Live Righteous festival, a crew of a local and traveling DJs came with their best. The night was filled with an eclectic and a multi-cultural musician list. By the hour, crowds flooded the field in front of the stage. 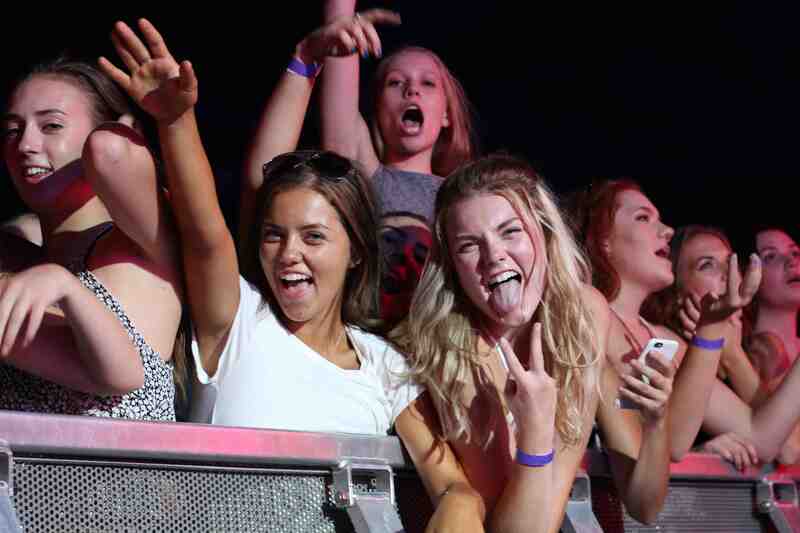 From avid teenagers, to families looking for a good time, the concert drew from the many. People bonding over one common interest—the music. It brings people together. It was almost as if things moved in slow motion, the vibrancy of the lights shining onto smiling faces brought everything together in unison. Seeing a thousand hands and bodies bounce up and down to a beat is truly a magical sight to see. It is unique to see the diversity of Thunder Bay’s locals react and connect with the performances on stage. The acts were truly remarkable and brought out the liveliness of the crowd song after song.